The neurofibromatosis 2 (NF2) gene-encoded protein, named merlin, may function as a molecular linkage connecting cytoskeleton and plasma membrane. Merlin is thought to play a crucial role as a tumor suppressor not only in hereditary NF2-related tumors, but also in sporadic tumors such as schwannomas, meningiomas and gliomas. Using a merlin-expression vector system, we raised specific antiserum against merlin. We observed the intracellular distribution of merlin in cultured glioma cells, and further investigated merlin expression in 116 human brain tumors. Immunofluorescence microscopy revealed that merlin was localized beneath the cell membrane and concentrated at cell-to-cell adhesion sites, where actin filaments are densely associated with plasma membrane. By immunohistochemistry, none of the schwannomas from either NF2 patients or sporadic cases showed any immunoreactivity, while normal Schwann cells of cranial nerves were immunopositive. In meningiomas, merlin expression was frequently seen in the meningothelial subtype (8/10, 80%), but no expression could be detected in either the fibrous or the transitional variant. Most normal astrocytes were negative; however, reactive astrocytes often expressed merlin. 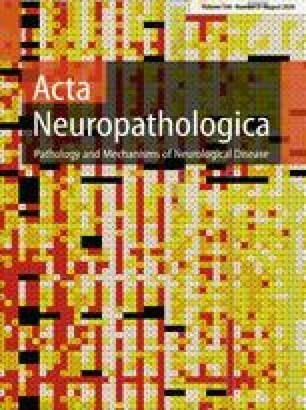 Glioblastomas and anaplastic astrocytomas were found to be strongly positive, and focal positive staining was observed in fibrillary and pilocytic astrocytomas. Thus, the loss of merlin appears to be integral to schwannoma formation and the differential pathogenesis of meningioma subtypes. However, merlin alterations do not appear to play a critical role in either the tumorigenesis or malignant transformation of neoplastic astrocytes.